HRMS is an integrated, cost-effective and comprehensive web based hotel reservation and payment processing platform designed for hotels to accept and manage reservation and payments online ANYTIME ANYWHERE. It enables small, independent hotel chains and resorts to instantly turn their websites into a booking magnet and convert website visitors into guests. With minimal integration, HRMS provides an Online Booking Engine with a full featured Reservation Management System to manage online reservation with choice of accepting full payment, partial deposit or reservation guarantee to secure reservation of guests online real-time. Expand sales globally by opening your hotel or resort to guests from around the globe, 24 hours a day, 7 days a week, all year round. Never miss a sale even when you sleep. Provide a secure online payment environment for your guests. HRMS is PCI level 1 certified, assuring consumers and merchants that all transactions are encrypted and secured. Start accepting reservations and payments in as fast as 7 days. 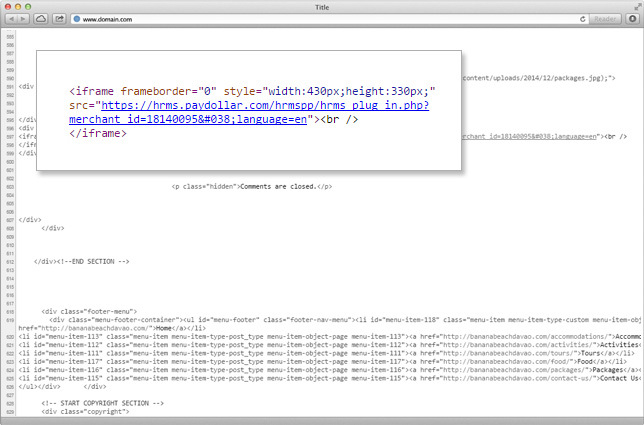 HRMS seamlessly integrates with any hotel or resort website. All the features you need and none of the clutter. Gain full control over your accommodation business. 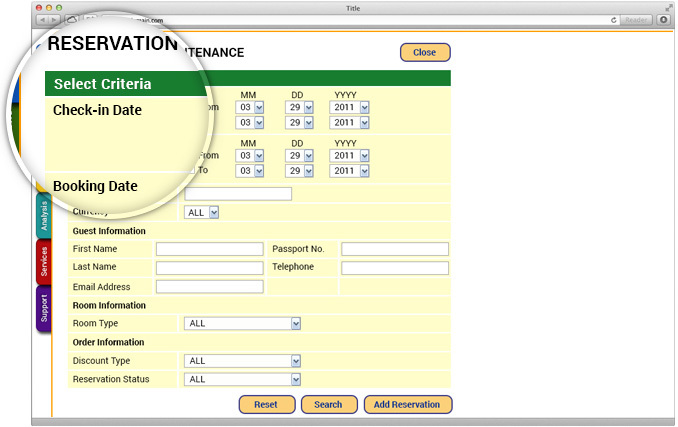 Manage online reservations and track room availability easily. Add room types, change rates and dates, upload photos, write room descriptions, enter the room details, cancel reservations and more. Maximize online sales with discounts and promotions. 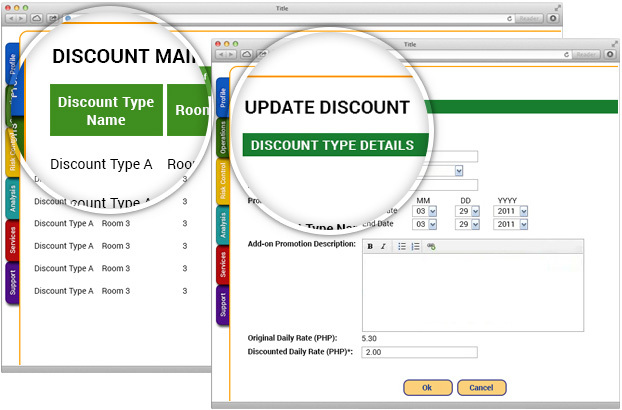 Offer discounted rates directly on the booking platform to increase conversions within minutes. 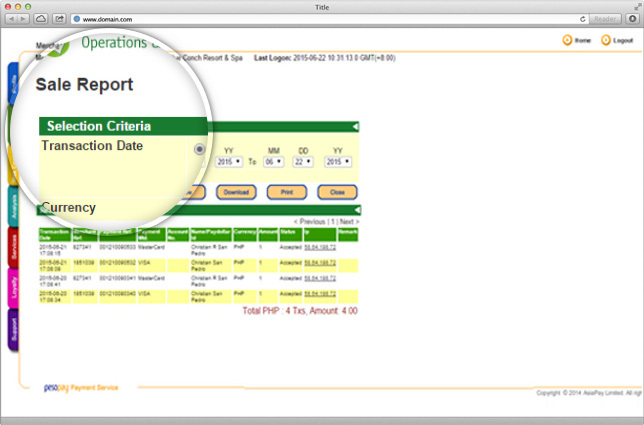 HRMS also provides a summary of the results, allowing you to optimize future promotions. Empower your website with an online booking engine in an instant. 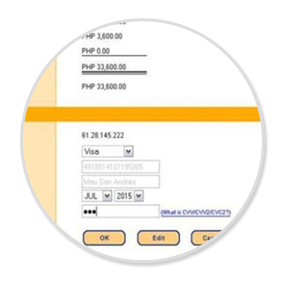 Make online payment processing a breeze. 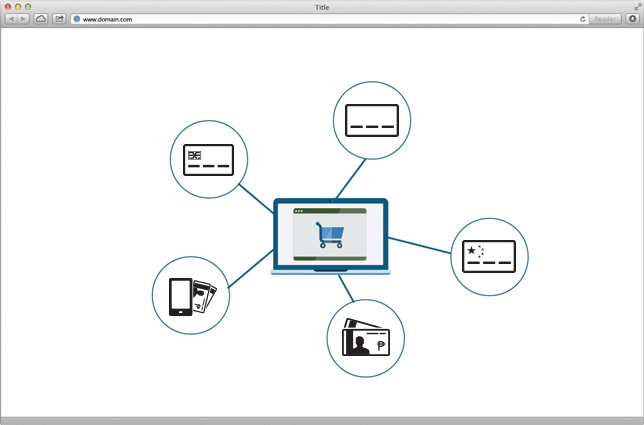 Take away the hassles of processing online payments on your website. With HRMS you can conveniently accept credit cards and debit cards in one integrated platform. Optimize conversions with actionable data in real-time. Gain rich insights on the performance of your website by easily generating monthly reports in real-time. 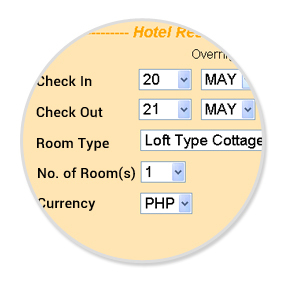 Customers choose the dates of stay, room type, the currency they wish to pay, then the room rates & availability will be shown, click "Book Now"
Customers need to enter their personal and contact information, as well as their preferences on the reservation page, then click "OK"
Customers can get a detailed summary of their transaction, enter their card information, confirm to proceed payment. 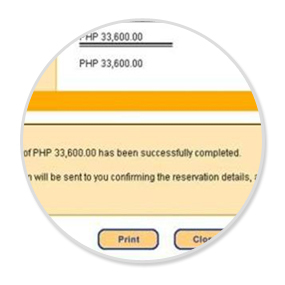 Customers can print their reservation confirmation instantly, show to the hotel desk.